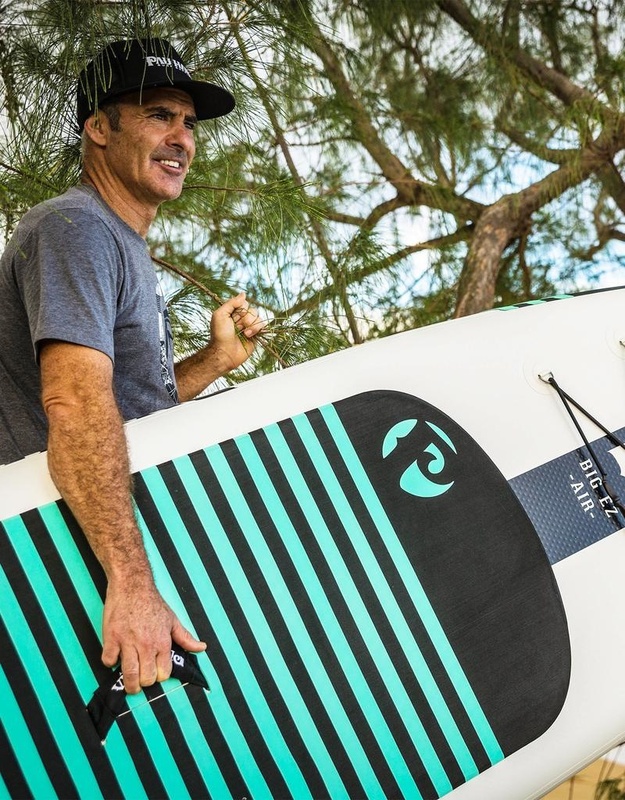 The Big EZ Air is an inflatable SUP that takes the stability of the Big EZ Hawaiian and puts it in an extremely durable and portable package. 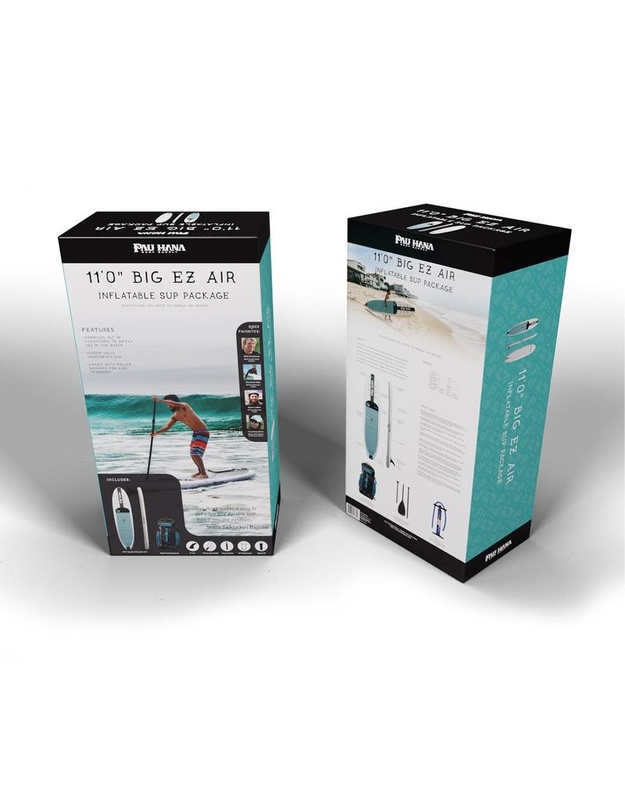 This high quality 850 GSM marine grade PVC inflatable stays rigid and rides well in whitewater, inland lakes, and the ocean. 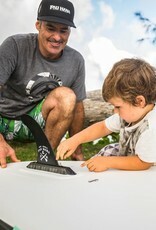 It's stable and you won't fall off. 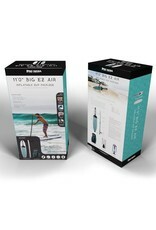 The Big EZ Air is an excellent choice for the world traveler as it fits easily in the trunk of a car and can be checked as luggage. 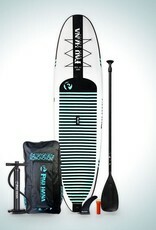 It comes with bag, pump, and three piece paddle. 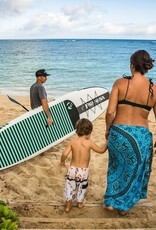 This is the best option if you want to travel often with your SUP. 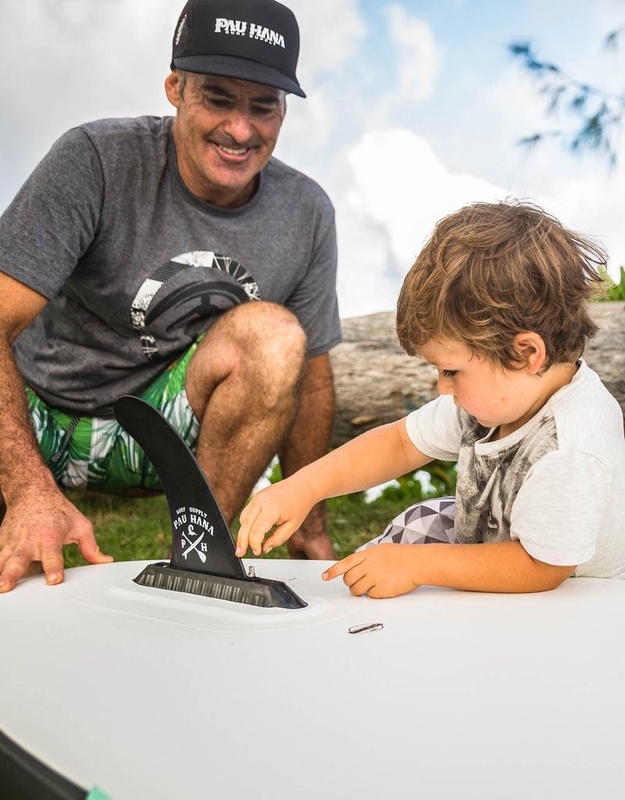 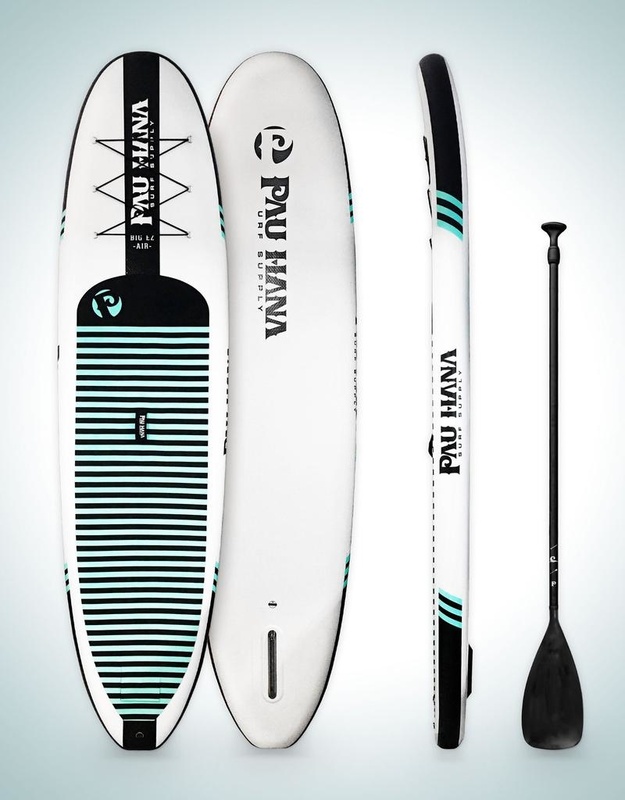 This is Pau Hana's best all around inflatable paddle board. 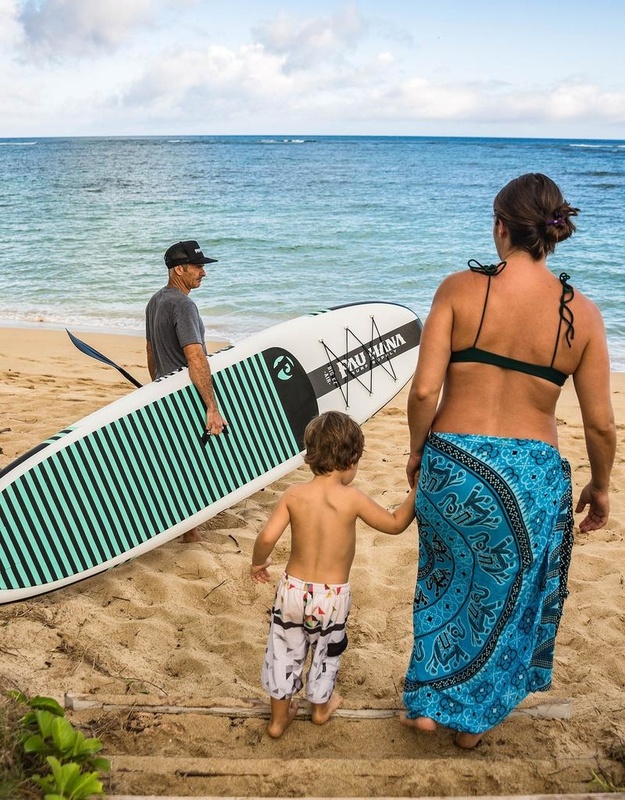 The board bag is a high quality gear bag with durable ABS wheels, double stitched seams, built-in overnight backpack style harness designed for carrying long distance and with the ability to tuck away. 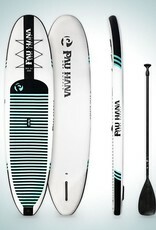 It also features a top mounted soft grab handle for easy rolling as well as a bottom handle for maneuvering. The entire package only weighs 28lbs so it will check as regular luggage, not an oversized bag, and can accommodate another 22lbs of gear and still be under the airline 50lb limit.